High altitude plants from around the world. 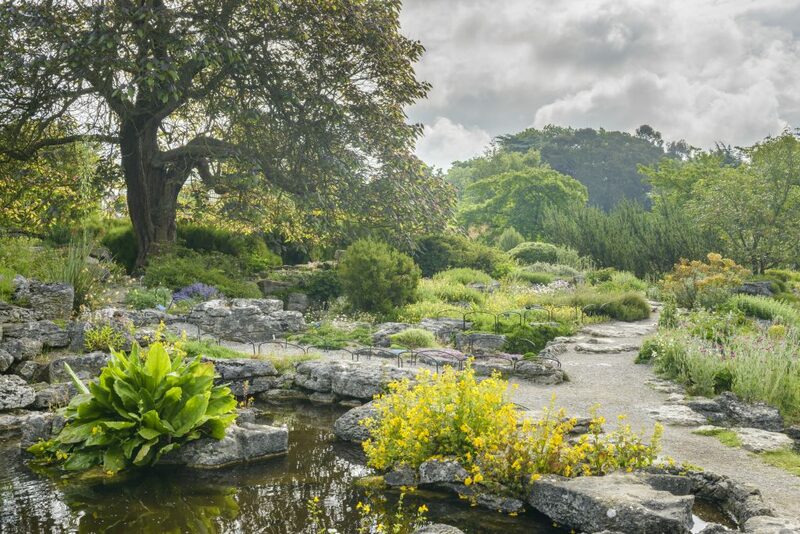 The Limestone Rock Garden sits on the northern edge of the lake and was constructed during the winters of 1954-58 using rock from Milnethorpe in Cumbria. 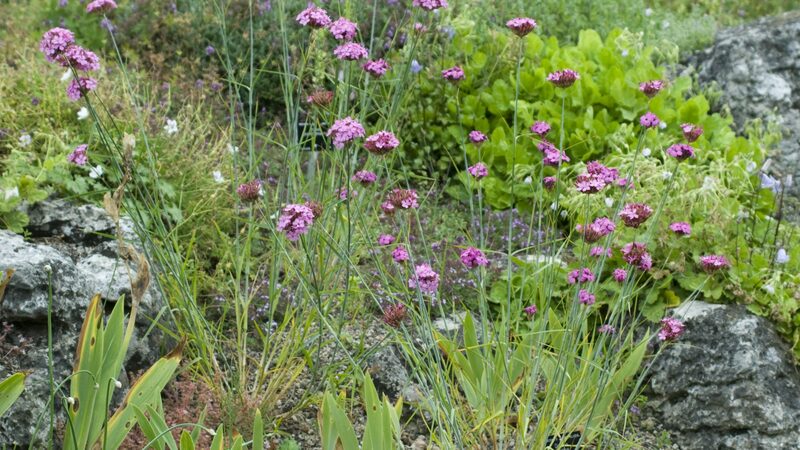 The rocks, some weighing up to three tonnes, were positioned using winches, and a block and tackle system, to create an open, sunny, well-drained habitat for the cultivation of alpine plants. 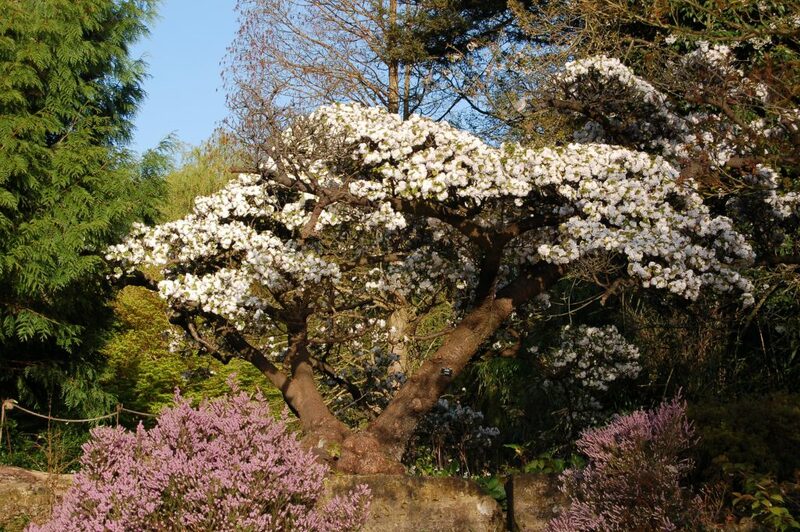 Once constructed the planting was laid out geographically to represent the mountain floras of Europe, Asia, America, South Africa and Australasia. Alpine plants grow in hostile environments, where they may be covered by snow for much of the year. They also have to contend with high levels of ultraviolet light, and poor soils. In response to these harsh conditions they produce a mass of small flowers to attract pollinators, and will also produce seed during a very short growing season, which creates a spectacular floral display in spring. 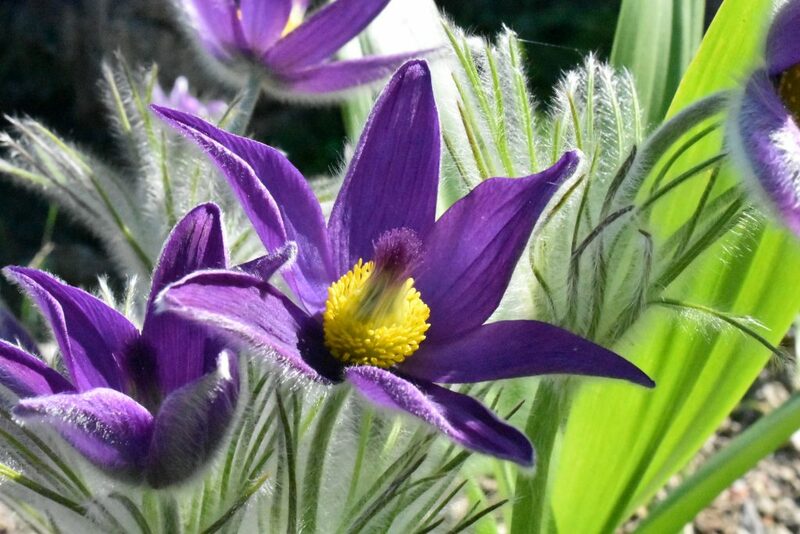 The familiar European edelweiss (Leontopodium alpinum) and pasque flower, Pulsatilla vulgaris, grow alongside Gilia aggregata from North America, Asian Aethionema grandiflorum, and Fuchsia procumbens from New Zealand. A small Sandstone Rock Garden sits alongside the Limestone Rock Garden, and this allows us to grow shade and moisture loving alpine plants. Here in spring the native dog’s tooth violet (Erythronium dens-canis) blooms alongside Trillium grandiflorum and the ericaceous Rhododendron ‘Cilpinense’. Prunus serrulata ‘Alboplena’ creates an impressive backdrop in spring, while the adjacent stepping stones add further interest.